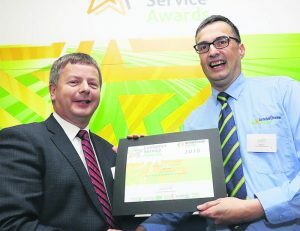 Niall Fox of Charleville Railway Station, receiving the People’s Choice Award from Jim Meade, Chief Executive of Iarnród Éireann, at this year’s Customer Service Awards. 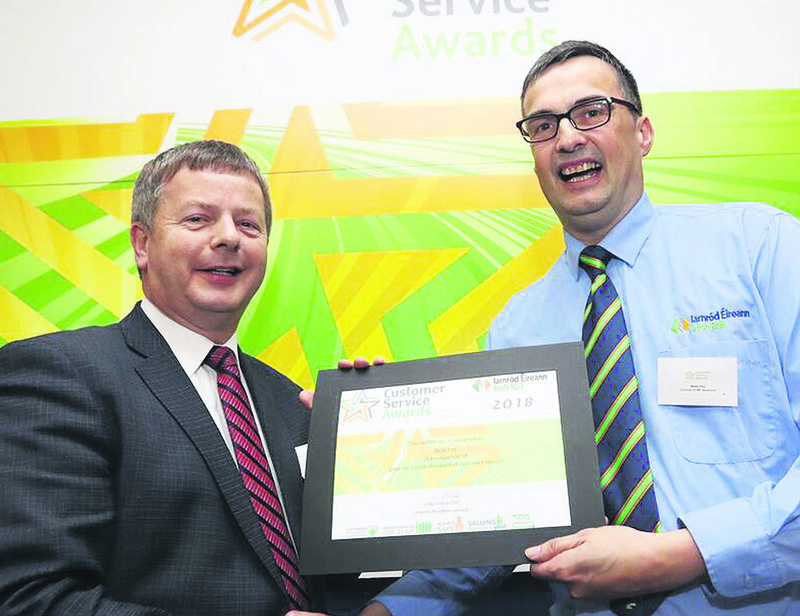 Charleville Railway Station is celebrating this week after Niall Fox received the People’s Choice Award at the Iarnród Éireann Customer Service Awards, which were presented at Inchicore Training Centre on Tues-day. The winner of the award is chosen through a combination of nom-inations from colleagues and customer feedback, and Niall has received an enormous amount of positive feedback, including from a customer who got off at the wrong stop and Niall took it upon himself to drive him into Charleville so he could catch a bus. Another customer got in touch to praise Niall for his kindness and compassion towards her mother during a very difficult time for their family, when she needed to get to Dublin as quickly as possible. His sensitivity in this situation put this lady at her ease as she faced her journey. Congratulations to Niall on winning such prestigious national recognition.